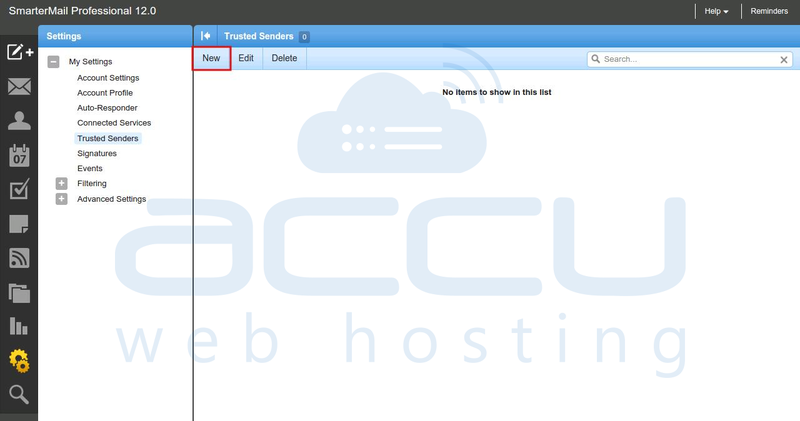 How to whitelist email address/domain in SmarterMail? SmarterMail allows you to whitelist the email addresses or entire domain, bypassing all spam filtering rules you've set. This feature is more useful when your legitimate emails are being flagged as Spam, and you don't want to lose your important emails. To whitelist the email addresses, you just need to add senders or entire domain in Trusted Senders list. Thus, any email received from the Trusted Senders will be landed directly into your inbox, without being filtered. Note that, Trusted Senders feature won't bypass the existing content filtering rules. 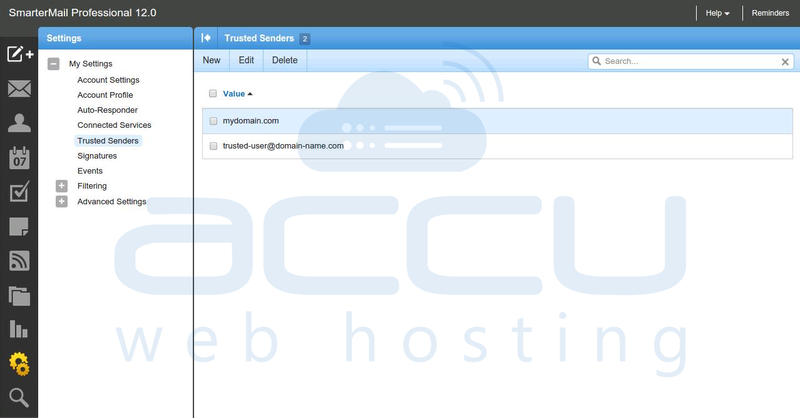 Login to SmarterMail interface with your email account. On SmarterMail screen, click on Settings menu from the left-hand side navigation menu. 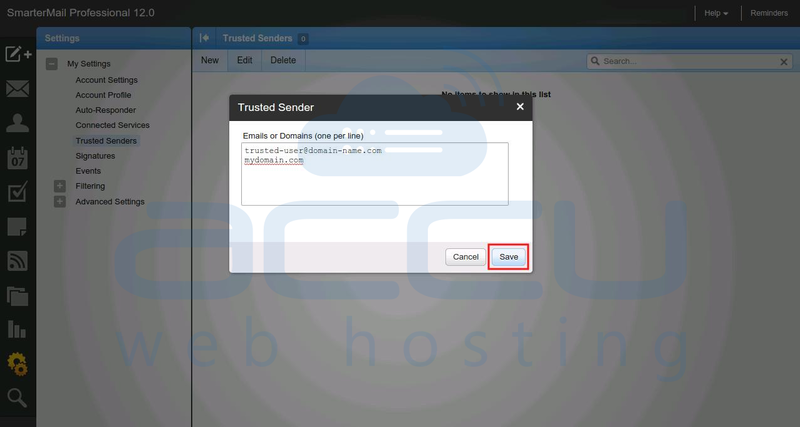 Expand the My Settings folder and then click on Trusted Senders. Click the New button to add new Trusted Sender. Specify the email addresses or domains you want to whitelist, one in a line. Click on Save button to save the changes. Once your Trusted Senders are added, you would see them listed as follows. How to clear the spool from the SmarterMail16 by login as a domain administrator? How to add domain in SmarterMail manually? How to create a new email account in SmarterMail? how to add domain manually in Smartermail 16?